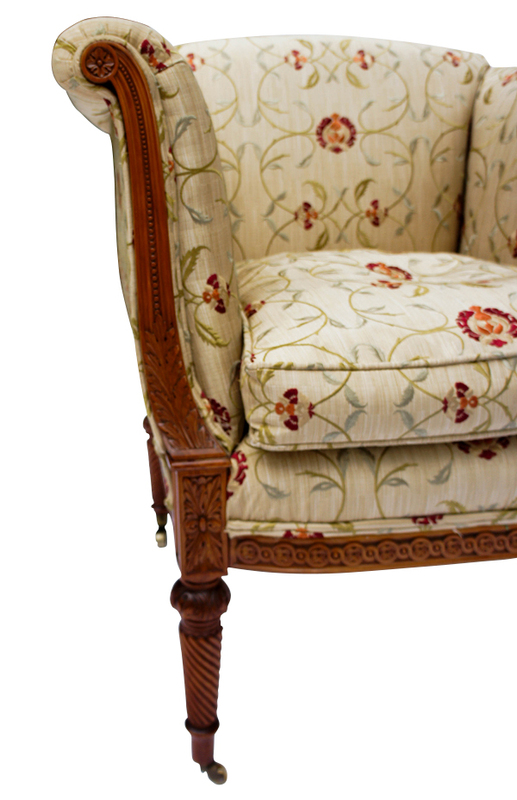 This very good quality upholstered armchair has an intricately carved frame made from satinwood. The timber is very good quality very dense and the carving therefore is lovely and crisp and finely executed. This timber is very expensive and usually used as a veneer or in marquetry so no expense was spared in the construction of this chair. The upholstery is finished in a brocade fabric in a design which could easily blend with traditional or contemporary designs. 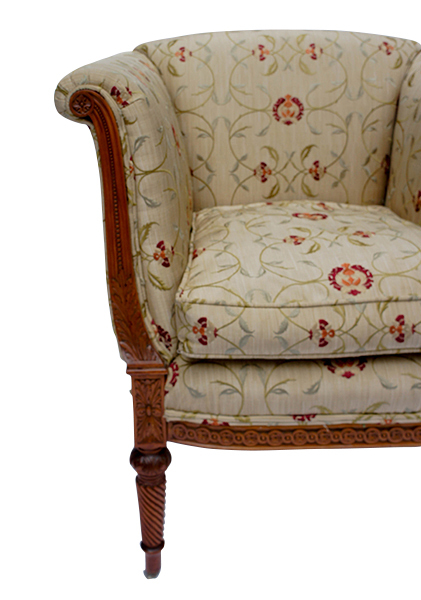 This very good quality upholstered armchair has an intricately carved frame made from satinwood. The timber is very good quality very dense and the carving therefore is lovely and crisp and finely executed. 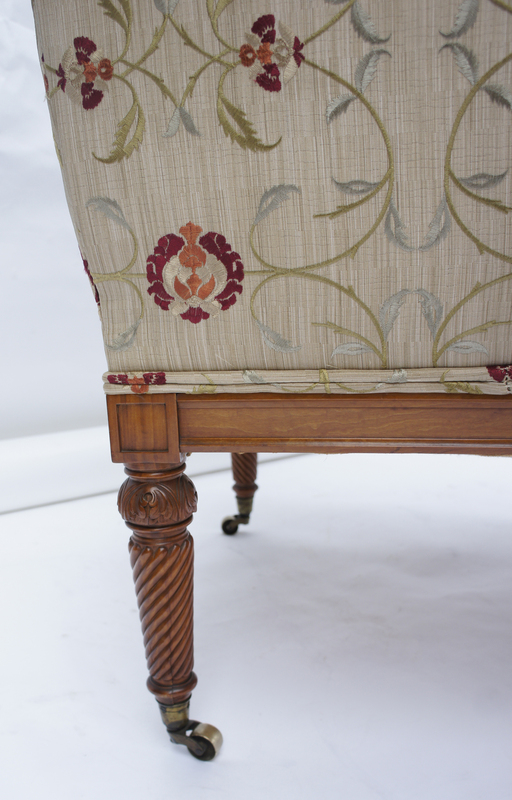 This timber is very expensive and usually used as a veneer or in marquetry so no expense was spared in the construction of this chair. 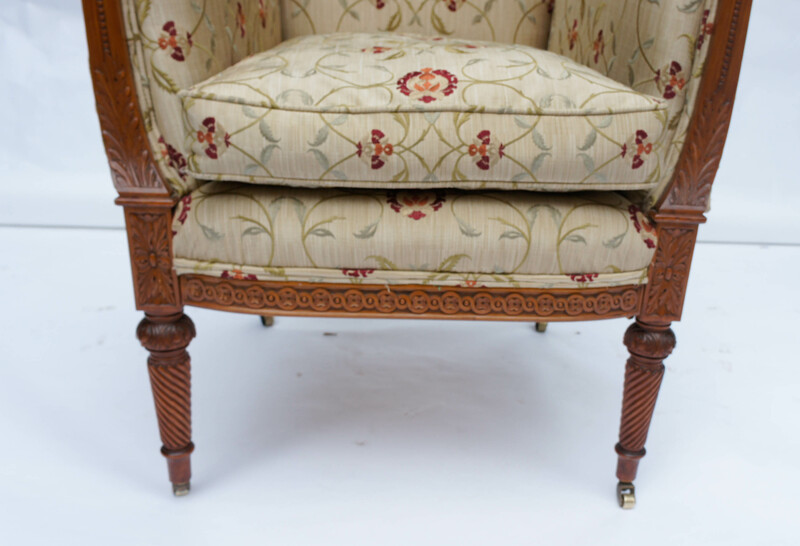 The upholstery is finished in a brocade fabric in a design which could easily blend with traditional or contemporary designs. The loose seat cushion has a traditional feather pad insert. The carving to the arms depicts flowers and the legs are finely carved with a reeded spiral design and terminate in brass castors.